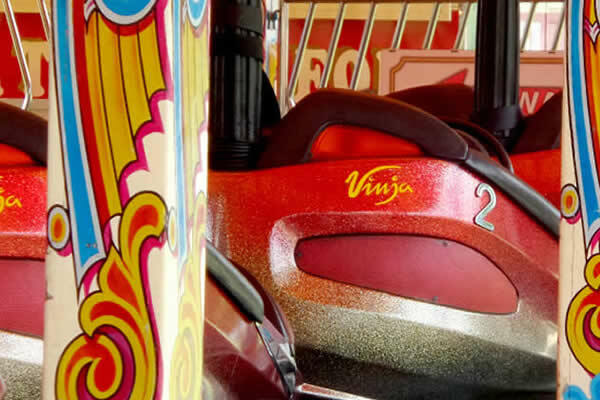 The Dodgems is our classic family attraction, built by Lang Wheels and dating back from the early 1950s. With 20 cars and a large driving area this track is one of the most thrilling of its type. With its large capacity this machine is perfect for weddings and other large events.